NRC can reach and support a wide diversity of Native American cultures. Our trucks and services reach most of the reservations in South Dakota, North Dakota, Montana, Wyoming, Idaho, and Nebraska, as well as on reservations across Arizona, New Mexico, and Utah. We also have a few partners in non-priority states where our services fit the needs. NRC serves more tribes in more states than any other Native American-serving charity. NRC is able to access isolated and remote locations that other charities cannot reach. 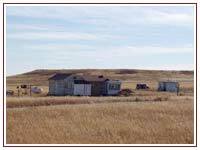 NRC has an established network of over 1,000 Program Partners who live and work in reservation communities. NRC also has an established inventory and logistics system and a fleet. We truck goods to the reservations 52 weeks a year. We deliver the goods right to the doors of our Partners, who know in advance when the goods are coming. NRC adapts to the Partner's community, rather than the other way around. Respecting the familiarity of Program Partners with the needs and people in their communities is key. Honoring the reservation programs and the goals and initiatives they have underway is equally important. NRC strives to understand these initiatives and enhance their outcomes. We provide food to soup kitchens, till gardens for people to grow their own food, provide baby baskets to new moms in need, give Christmas presents to kids, provide school supplies, and much more. Our eight programs encompass 25 different ways to serve Native Americans. NRC serves isolated communities lacking in resources. NRC strives to deliver the right goods to Partners at the right time and in the right way. The products that NRC delivers are based on the Partners' requests. In this way, we ensure that the food is eaten, the shoes are worn, and the clothing fits. This is good stewardship. It encourages trust and future participation by Program Partners and those being served. Only NRC has thousands of American Indian volunteers. We understand that relief efforts succeed to the extent that the people in the community have a vested interest in them. Over 1,000 NRC Program Partners volunteer and recruit additional volunteers to work in their communities. Native Americans also volunteer in our warehouses. Like Program Partners, these volunteers work for the good of others in their community and are provided with material goods and incentives for their efforts. Program Partners trust National Relief Charities and often seek us out to volunteer. 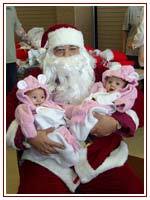 A visit from Santa brings joy and builds trust. This is a remarkable achievement. Native American communities tend to distrust charities because they sometimes deliver goods that are outdated, inferior, unneeded, or unwanted. In communities that work with NRC, the word spreads that NRC can be trusted to fit the need. As a result, we are readily able to secure Partner trust. NRC helps remarkable people rise to the occasion and bring resources into their communities. NRC is not simply a material aid organization. Our overall purpose is to help Native Americans build strong, self-sufficient communities. As such, Program Partners report that the skills gained by working with NRC carry over to their jobs or to other reservation projects. The same skills carry over to working with outside groups and resources. And their reservation communities and members benefit by working toward a shared goal. Passion is always in stock at NRC. Every employee at National Relief Charities cares about Native Americans and wants to make a difference.